Happy Holidays everyone! We have a couple mail-in entries for the current challenge to share. 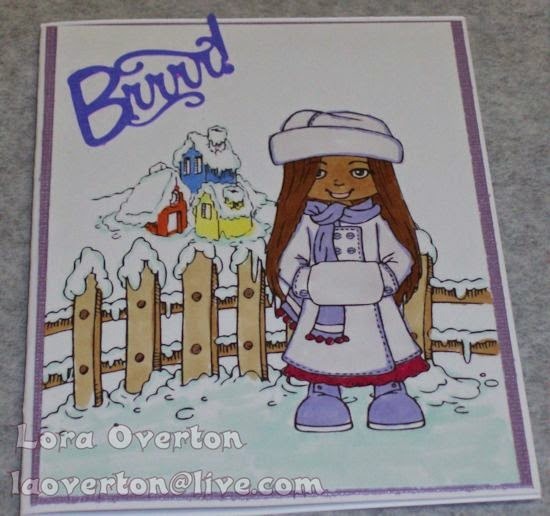 These great cards were made by Lora using Sugar 'n Spice Dolls Saffron with some Make it Crafty winter elements. Awesome scenes! So cute christmas cards. I love your Sugar Dols!! Thanks for playing with us at Little Miss Muffet challenge.